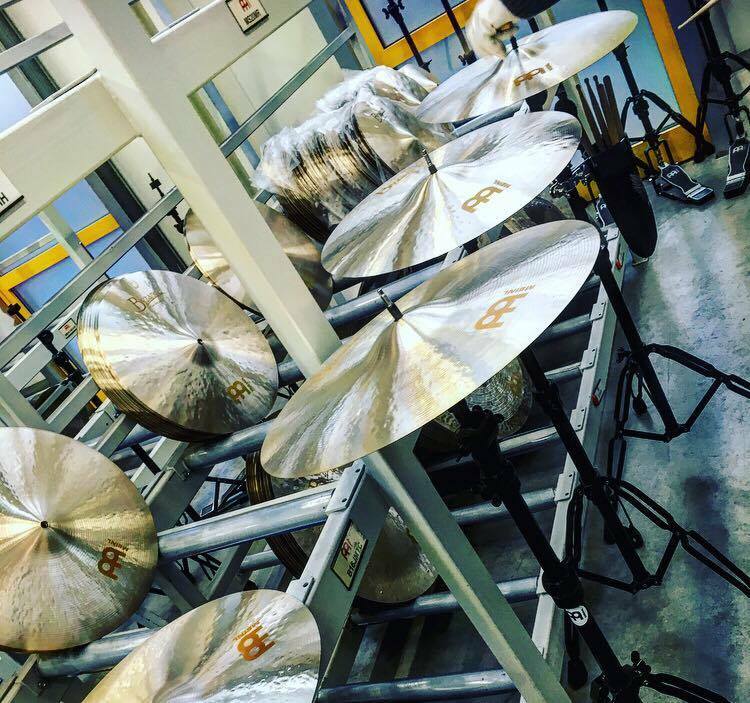 I’ve just had an incredible couple of days at the hands of the one and only Meinl Family at their home base in Guttenstetten, Germany on my latest visit to select their beautiful cymbals for dD Drums. In fact at this point i’m midair flying home battering all my buzz frantically into my iPad to hopefully capture how awesomely cool this place really is! 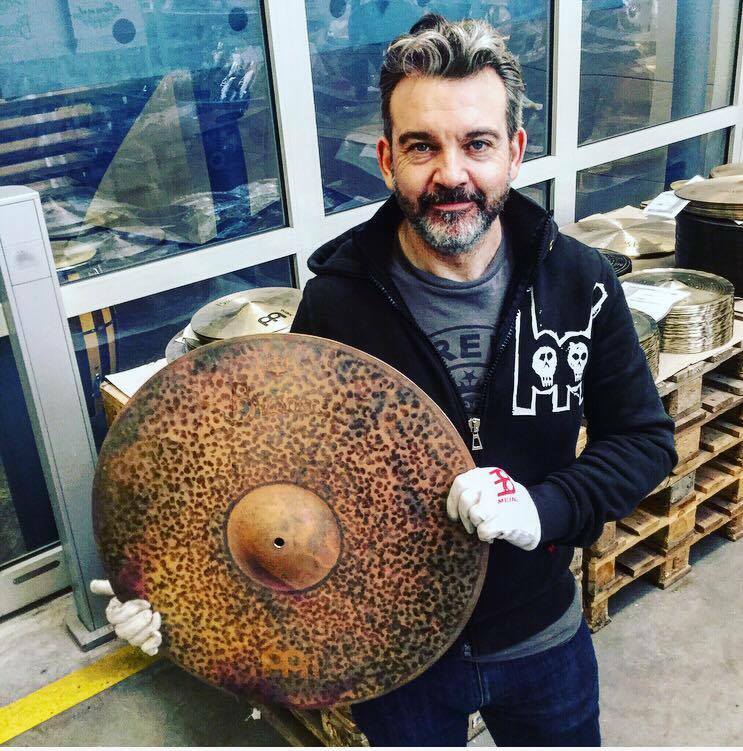 Since 2015 I’ve had the dream job of hand selecting Meinl’s Byzance Hand hammered Cymbals for my customers direct from their cymbal vault and yes it is as AMAZING a job as it sounds! I’m very fortunate not only to do this but also to have this as a service dD Drums (in Falkirk, Scotland!) can offer it’s customers. Arriving in the afternoon on Monday I enjoyed I had a half day at head office catching up with the key members of the Meinl team enjoying a good chat with Bernie Amon (Head of Sales for Europe) and Udo Heubeck (General Manager) about all things Cymbals, business and little old dD Drums. A brief chat with Mr Meinl himself was as always a great honour – he reckons I’m losing weight! Thanks you so much Mr Meinl you’re cheque is in the post! Also had a great meet up with artist relations manager Norbert Seaman on the success of the Benny Greb appearance at SDF16 and we had a really cool chat regarding the plans for our 2017 Festival. 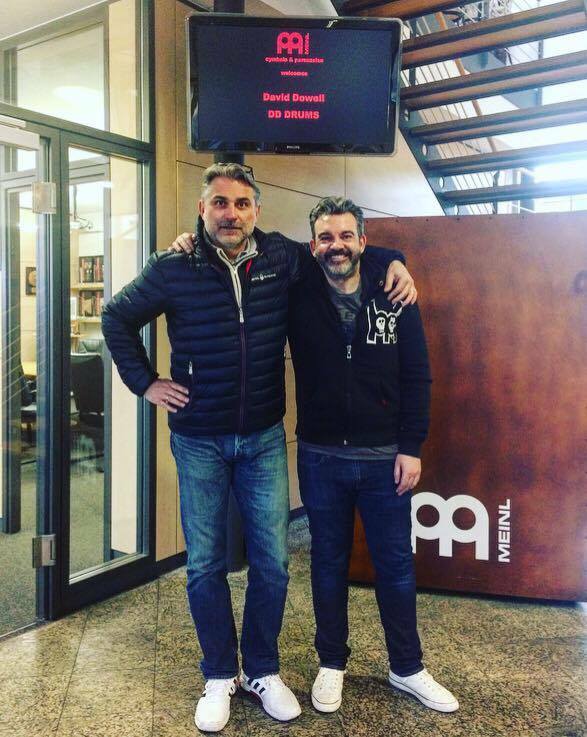 Bernie Amon and myself at Meinl HQ. Check the Live video here. It features some pretty cool Meinl items you may not have ever seen. 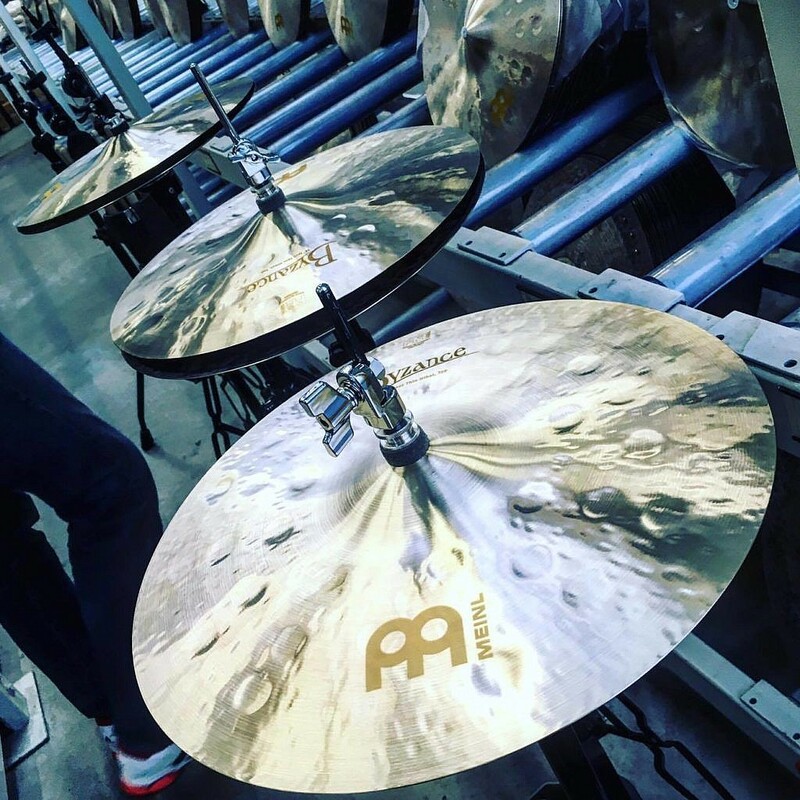 dD Live at Meinl Cymbals plant! Benny Greb’s Language of Drumming Rhythm Display in Meinl HQ. So down to the main reason for my visit – Hand Picked by dD Drums Byzance. As always I start off with customer orders. Over the last 3 years the quality of the dD Drums handpicked Meinl Cymbals have grown their own reputation and all visits have seen me in the role of personal shopper for dD customers old and new. This time was no exception – with 7 advance orders and a further 3 orders arriving on that very morning since the video clip! With prior arrangement I’ve been looking for desired pieces with a trashier, washier, sweeter, cleaner or whatever the preference of the customer is and can easily, happily accommodate any further requests for this service. Some very , very nice Byzance Jazz hats awaiting the stick! For further viewing on our history and commitment to this handpicking process go check out our #handpickedbydDDrums on either Facebook or Instagram. Here’s a collection of happy snaps from that very hashtag in the meantime. 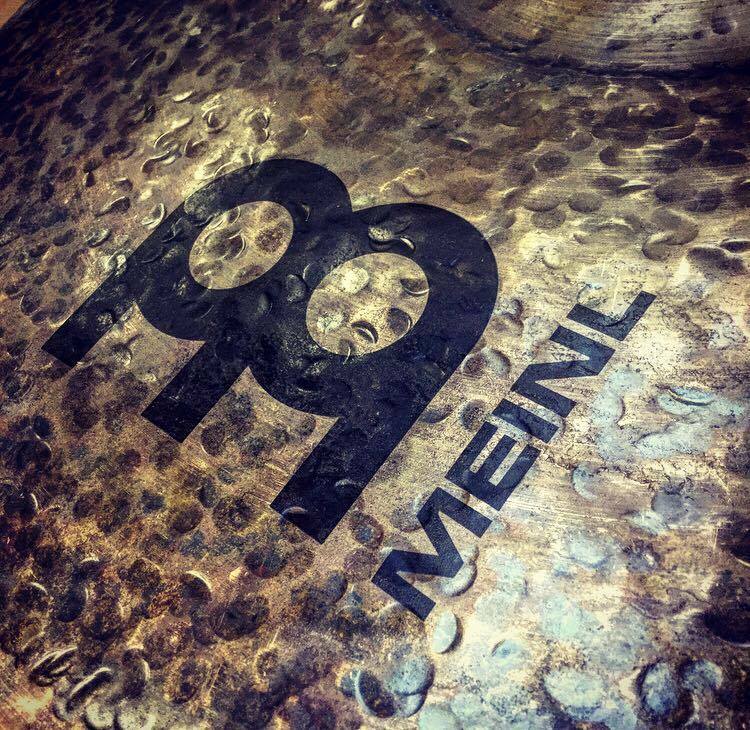 As ever the quality of Meinl Byzance Cymbals is always extremely high and it’s a great treat to look for those ‘special ones within the vault . Usually I find that the first 5 Cymbals there is always one that blows me away. Sometimes the first one! However I keep digging and enjoying the different tones. A time to just let your ears do the work. Setting up around 4 stands allows me to A B (C + D!) the Cymbals against each other. Checking out all the zones of the cymbal (depending on model) and selecting my absolute favourite for the shop or that to match my customers requirements. The loveliest Byzance Jazz crashes ever! Another part of my process involves trying the 16,17,18,20 or whatever sized crashes from the same series alongside each other and listen for those that work best together with nice tonal separation from each other throughout the models and ensure all cymbals selected work both on their own and with each other. This may be an excuse to hit these Cymbals more perhaps? Nonetheless i feel it a valuable part of my process. Here’s a video I uploaded of my selection of the 16″ Extra Dry DUAL crashes that was subsequently reposted by Meinl themselves resulting in around 30,000 folk worldwide watch me wallop some braw cymbals! Meinl Cymbals own Instagram feed with my 16″ Dual footage! I could rant on all day about the models chosen and how good they are but that could get tedious and would definitely give too much away this week. Rest assured though that the pick represents all areas of Byzance sounds and all cymbals are of the very highest quality. These exemplary sounding Byzance will be at dD Drums next week and on sale from Thursday 2nd of March at our exclusive dD Drums ‘bricks and mortar’ customers weekend, that is kicking off with a late night opening on Thursday the 2nd itself to introduce the fresh drop to anyone who wants to join us. Or drop in any time and get your ears around this great collection of sounds when they’re all together. I recommend if you have any interest at all – be quick as they don’t hang around. I’m going to sign off on this blog with a final few pieces of information and a summary of what to expect should you want to get involved with the finest quality Meinl Byzance available – handpicked by dD Drums. These Byzance are without doubt the finest pieces available from Meinl’s Cymbal Vault upon my visit. I challenge myself to look deeper into the sounds of each model to find the ‘special ones’ as these are the gems that await my selection to bring you the best. When you come visit me and these Byzance you will be able to try each of these carefully selected pieces alongside your existing setup (by prior arrangement) – no doubt full of Coffee! 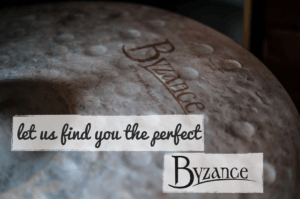 Although these Byzance are handpicked by dD Drums we strive to bring you the best available price also. So that gives You the best price and the best cymbal. 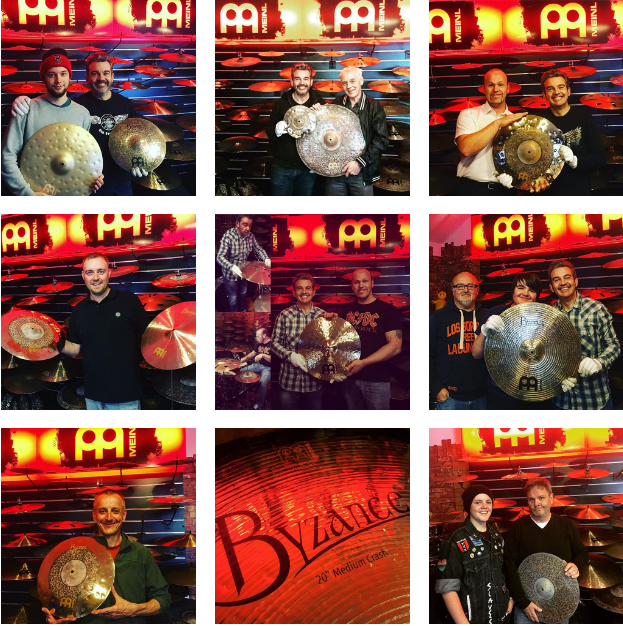 Finally, all MEINL Byzance Cymbals come to you with a 2 year guarantee from the day of your purchase. Thanks for your time reading about these cymbal adventures. I genuinely appreciate your interest. Should you wish to join us on their arrival weekend of Thursday 2nd March please do. I’d be delighted to see you.